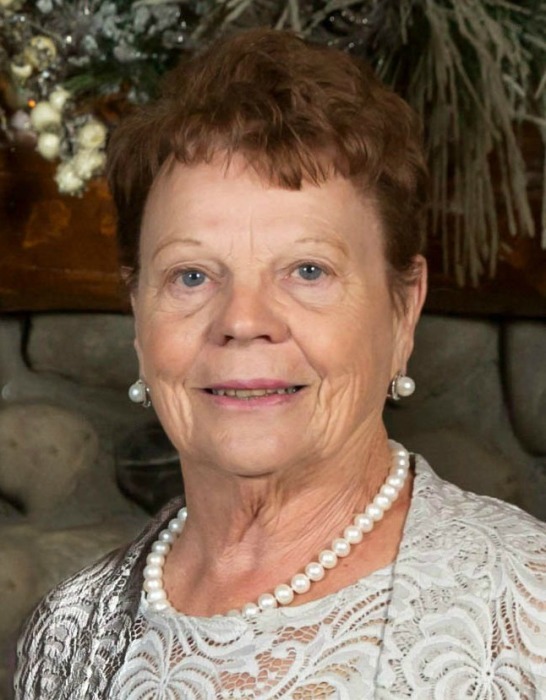 Mrs. Edna Mae 'Dianne' Berg, beloved wife of Mr. Karl Berg, of Consort, Alberta, passed away peacefully at Calgary, Alberta on Sunday, January 27, 2019 at the age of 76 years. Dianne will be lovingly remembered by her husband of fifty-eight years, Karl Berg; her son, Darcy (Rita) Berg of Sedalia, Alberta, and her grandson, Ryan (Carole), and great grandchildren, Dax, Wrenn and Krew; her grandson, Damien (Ashley) and great grandchildren, Jayda, Chase and Danni; her grandson, Brenden (Katie) and great grandchildren, Charlie and Harington; and her grandson, Danton (Stephanie) and great grandchild, Knox; her daughter, Debbie (Daryl) Stenger-Harvey of Calgary, Alberta and her grandson, Kyle (Laurel) and great grandchildren, Boden and Cali; her grandson, Curtis (Amber) and great grandson, Dustin, her granddaughter, Jocelyn (Phil) and great grandson, Jason, and her grandson, Troy; and her daughter, Cindy (Trent) Berg-Koenigbaur of Cochrane, Alberta, and great grandchildren, Liberty, Lincoln and Zara. She will also be sadly missed by many other relatives and dear friends. Dianne was predeceased by her parents, Henry and May (Post), a brother-in-law, Harrington Berg, and her mother-in-law, Molly Berg. Relatives and friends are invited to come and pay their respects at the Consort Sportex, 4602 - 50 Avenue, Consort, Alberta on Friday, February 1, 2019 at 1:00 p.m. A Funeral Service will be held at the Consort Sportex, Consort, Alberta on Friday, February 1, 2019 at 2:00 p.m. A Graveside Service will be held at the Evergreen Cemetery, 16102 Fort Road NW, Edmonton, Alberta on Saturday, February 2, 2019 at 2:00 p.m. Condolences may be sent or viewed at www.coronationfuneralhome.ca. Arrangements in care of Coronation Funeral Home, Coronation, Alberta. Phone: 403.578.2928.